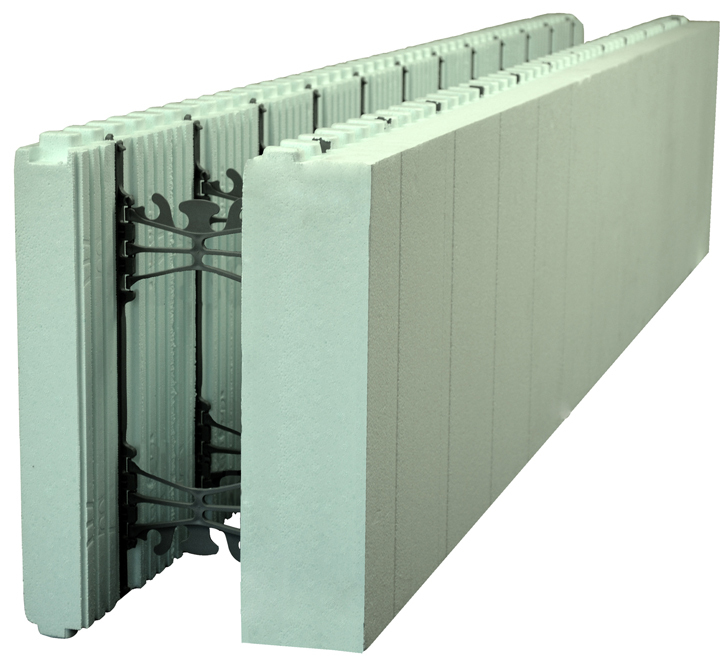 The Plus+ Series line of forms and inserts gives alternatives to add more insulation to the standard line of NUDURA® Insulated Concrete Forms. The NUDURA® Plus+ Forms are available in four sizes, 1” (25mm), 2” (50mm), 4” (100mm) and 6” (150mm) and offer R-Values as high as R-48. The Plus+ Forms are laminated with the desired amount of insulation with an EPS approved adhesive. The R-Value Plus inserts were engineered to integrate into any NUDURA® form unit, allowing for increased R-Values, while at the same time not interfering with the unique technological characteristics of NUDURA® Forms. The inserts are available in 3 standard sizes: 2" (50mm), 4" (100mm) and 6" (150mm) - all 3 sizes are 32" (812mm) high. Once the desired size is chosen the R-Value Plus insert is simply slid into one side of a NUDURA® form unit. With the unique dovetail system, the inserts are securely placed during the construction process. 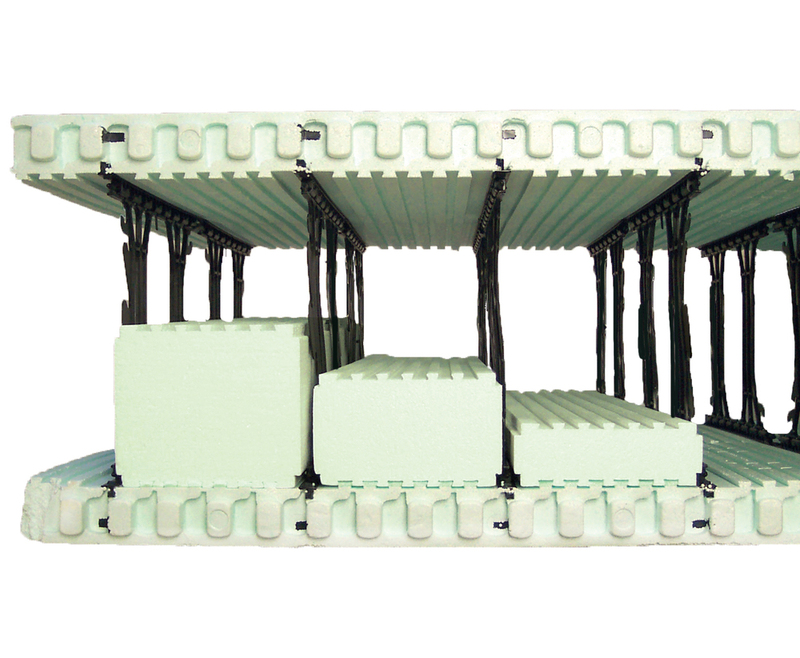 If the desired amount of insulation is greater than 6” (150mm), NUDURA can customize the insulation thickness as needed. The NUDURA® Plus+ Series utilizes innovation that is exclusive to NUDURA, which allow builders, architects and engineers the ability to build and design commercial and residential structures with greater efficiency. The DURAFOLD Technology™, DURAMAX Technology™ and DURALOK Technology™ along with our 4-Way Reversible system, offer Patented Technology that is only available from NUDURA, in all Form types and sizes.